World-class & local: EXPERIENCE MARRIOTT'S TOP SPAS WITHOUT LEAVING ALABAMA FLORENCE · HOOVER · MONTGOMERY · MOBILE · POINT CLEAR The Resort Collection on Alabama's Robert Trent Jones Golf Trail · rtjresorts.com/spacard From relaxing massages to invigorating facials and body treatments, Marriott is known globally for having great spas. 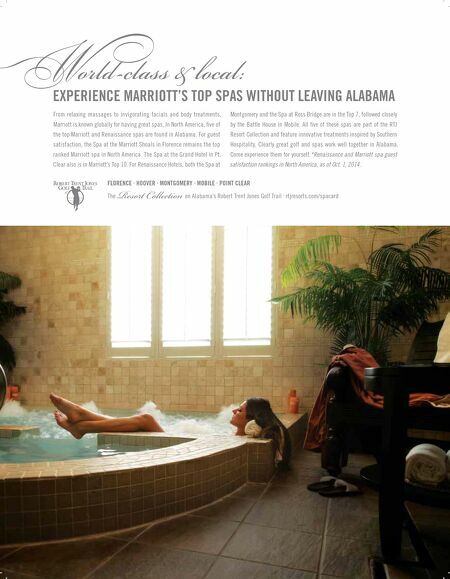 In North America, five of the top Marriott and Renaissance spas are found in Alabama. For guest satisfaction, the Spa at the Marriott Shoals in Florence remains the top ranked Marriott spa in North America. The Spa at the Grand Hotel in Pt. Clear also is in Marriott's Top 10. For Renaissance Hotels, both the Spa at Montgomery and the Spa at Ross Bridge are in the Top 7, followed closely by the Battle House in Mobile. All five of these spas are part of the RTJ Resort Collection and feature innovative treatments inspired by Southern Hospitality. 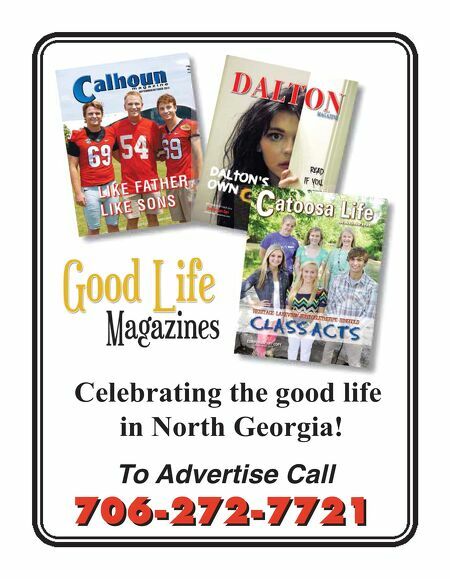 Clearly great golf and spas work well together in Alabama. Come experience them for yourself. *Renaissance and Marriott spa guest satisfaction rankings in North America, as of Oct. 1, 2014.